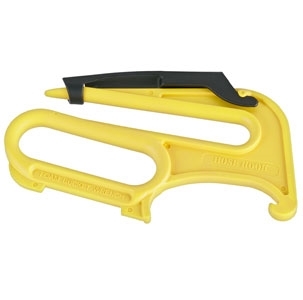 The Hose Hook is an innovative patent pending multi-purpose tool that acts as a handle for carrying hose rolls. Works with up to 5 inch hose. Fits in a standard turnout gear pocket. Has integral wrench for use on up to 2 ½ inch rocker lug couplings and most 4" (100 mm) and 5" (125 mm) Storz couplings. Also contains a wrench for foam bucket lids. Rounded shape in hook area allows for draining by hooking and walking along hose length. Can also be placed over hinges to hold doors open. 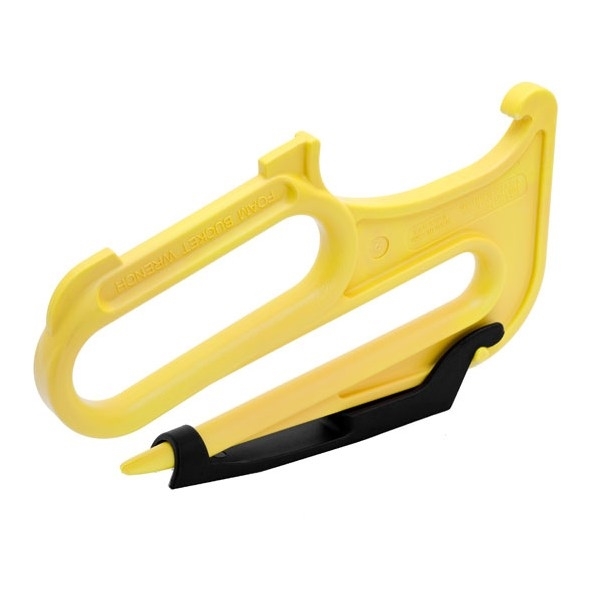 Provides a convenient handle for anything that can be hooked and pulled, like SCBA. Molded from a lightweight and durable nylon. Each Hose Hook comes with a bracket for apparatus mounting.